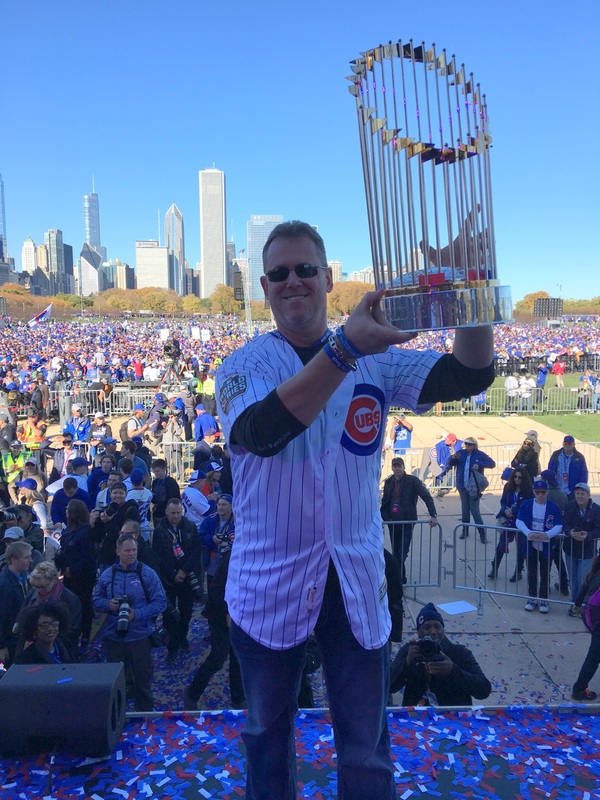 After the Cubs won the NLCS and advanced to the World Series for the first time since 1945, I wrote this story about Chicago hitting coach John Mallee and the meaning of No. 11 for him. Now that the Cubs have ended their 108-year championship drought after that amazing Game 7 on Wednesday night, I want to provide an update. Mallee placed the frame in his locker at Progressive Field. And as the Series reached its conclusion, Mallee noted several coincidences involving the No. 11 — freaky stuff, but kind of cool, too. First of all, the Cubs extended the Series to November, the 11th month. Game 7 was on 11/2 — the jersey numbers that Mallee and Cubs infielder Tommy La Stella exchanged before the start of the season. And the numbers in 11/2/16 add up to — you guessed it — 11! Now all of this might sound silly, and none of it would carry the same meaning if the Cubs had lost. But anyone who has ever lost a loved one can relate to the way the John and his sister Kathy are keeping the memory of their father alive. Here’s to No. 11 and John Mallee Sr.